I am in Alaska Caribou hunting. Nothing to report. What a hot mess this summer has turned out to be. I’m ready for the cool breezes of Fall to take hold. There are still a lot of fun tournaments to be shot throughout the end of the year. This year, the archery spotlight is on the biggest and most prestigious stage, the 2016 Olympics. Of course, I would like to see the Americans take all of the gold medals, but just watching the caliber all of archers competing keeps me on the edge of my seat. The live feed is a-maze-ing, with the close-ups and the different shot angles of the target. Other than that, my work has dominated most of my time so shooting times has been few and far between. Till next month, shoot straight and focus on the gold. It’s been a while since my last article so I won’t bore you too much here. The summer has been hot so thanks to all of the guys that have been out helping at the range. I need all of you who own target assignments out on the Mountain Range to get out there and take a look around. The tumble weed has been growing heavy as have the other heavy weeds that we have out there. Please make some early morning time to get out to the range and get some cleanup done. The more you stay on top of the weeds, the easier it is each time. I know it’s hot, but it needs to get done. It’s hunting season, so I know there hasn’t been a lot going on in the way of tournaments, but we do have the State Target championships coming up in September. The shoot dates are September 10th and 11th. I have room for about 48 shooters each day (that includes Juniors). The format is the same both for days and it should be a good shoot. It is a lot of arrows, so please come prepared. We are not providing any food so bring your own lunch, we will have drinks available for purchase. This is pre-registration only so please make sure to get it in quick as I am filling up fast. Look forward to seeing you there. We have a lot of Hunters Ed going on over at Raahauge’s so if you are in need of a class then check out the DFW website under Hunting / Hunter Ed and sign up. I have one on August 27th and then another one on September 10th. Then, every first Saturday of the month from there on until the end of the year. I am still seeing a lot of stupid target camping out on the range. Please stop doing that. I stopped 3 guys from shooting 100 yards plus on Valley target # 3 just two weekends ago. Target camping is a no-no and everybody knows it. For those of you doing it, stop it now. If I catch you I will have you expelled from the Club. Last warning! In closing, please be careful out in the field this season. Get everyone back alive. It is very hot right now and anybody out hunting needs to be prepared with plenty of water. Make sure to hunt with somebody else. It’s the smart thing to do. I have never met anybody yet that realized that they were that they were having a heatstroke. Pay attention to your buddies and keep everyone safe. Please also make sure to follow all Fish and Game regulations. What’s the first thing that we do when we get to our downed game and make sure it’s dead?? Hopefully everyone said “tag it”. Fish and Game is watching from places that you cannot even imagine. I have seen some social media pictures already without a tag anywhere on the animal. You can and will get cited for this mistake. Don’t be the one. Outside of that, just enjoy the range and the hunting season and I will see you next time! Thanks for everything that you do! After almost 8 years as Membership Chairman, I am moving on. I am grateful for the friends and acquaintances I've made and the privilege of working on and for the finest Archery Club and range in the state. Samantha Ewertz will be assuming the duties and I'm sure you will help her ease into the job with your cooperation. We only had two Non Club Board Members show up to the last Work Party we had. “Thank you!” to Todd Dancer and Bill Waltz. Your help was greatly appreciated. The range inspection we were supposed to have last month had to be rescheduled due to some scheduling conflicts. Our Club President, Joe Dotterer, is off to Alaska to hunt Caribou. Ask him about it when you see him. Our Flint Captain, Jason Duysings, just returned from Elk hunting. Ask him about it when you see him. Per our Range Captain, Chriss Bowles, if we do not get more Work Party assistance in the preparation and running of the State 900 this year, we may not be holding it next year. We need more Club Member participation to include Cub and Youth Marshals, Target Repair Helpers, and Target Take Down. We have had some issues with some of the children playing in the ditch. The Board is concerned about Rattlesnakes due to the seriousness of the drought we are in. Please keep an eye on the little ones. As of the August Club Board Meeting, we were at 313 Members. This was our Outgoing Membership Chairman's (Ross Scamperino) last meeting. He has relinquished his command to Samantha Ewertz, our Incoming Membership Chairman who will be assuming his duties moving forward. The Board voted and approved of the changing of the guards. 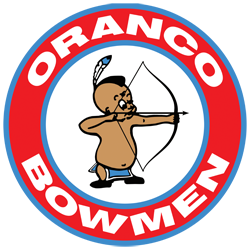 Oranco Bowmen Archery Club put in another bid for the NAFAC for next year. We should know soon whether or not we got it..
Club By-Laws meeting was postponed to 08/20/2016. The Board discussed the Shoot Calendar for next year as well as the shoot fees. A motion was brought up that we are not charging comparable prices for Shoot Fees that are in line with surrounding clubs. The motion was voted on and passed. As of 1/1/2017, Head of Household Shoot Fees will increase from $12 to $14. 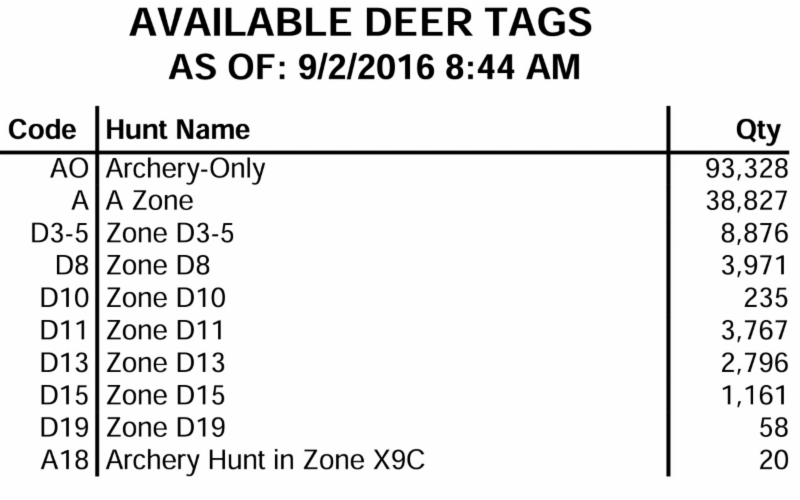 Youth Shoot Fees remain the same. Family Shoot Fees will increase from $24 to $26. The Board discussed various options for next year’s Club Banquet. We are reaching out to our Club members on this one. Please advise if you have any suggestions for venues or food recommendations. The Banquet will be held somewhere towards the end of March 2017. We are hoping to keep it within about 10 miles of the Club. Please email me any suggestions you may have. We are still waiting to hear back from the Army Corp of Engineers in regards to our lease. 2. Sick Child: “Susie has a fever of 102. The daycare/school says that I have to come pick her up.” Remember, this only works if you actually have a child. 6. Cramps: This one needs no explanation. If your boss is a male, he won’t want to ask any questions. If she’s female, she’ll sympathize. Just don’t try to use this excuse if you’re a man. There’s no way to spin it to work in your favor. 8. Stuck in Mud: “My truck is stuck in the mud and it’s not four-wheel drive.” When I showed up hours late, my boss didn’t buy it. The red clay up to my headlights finally convinced him. 14. Funeral: “I have to attend my uncle’s funeral.” Of course, you never want to lie about someone’s death. But, your boss doesn’t have to know your uncle actually passed away five years ago. 16. Insect Bite: “I went hunting last weekend and just found a tick on me. It’s starting to look suspicious, I should probably get it checked out by a doctor.” Lyme disease is on the rise. Better to be safe than sorry. 18. Broken Water Pipe: “My entire basement is flooded. 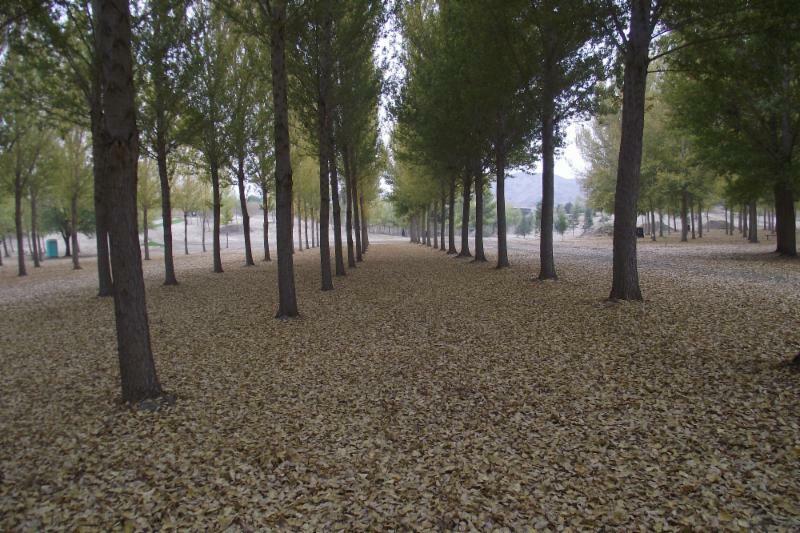 It’s going to take days to get the mess cleaned up.” Reserve this one for after the first good freeze. Just cross your fingers that karma doesn’t come back to get you and a pipe actually bursts. 20. Follow-Up: “Remember the doctor’s appointment I had last week? My blood work came back irregular and they need me to come back in for a follow-up.” This one is great if you find yourself calling out two Fridays in a row. With a good range to choose from, at least one of these excuses should buy you some extra time in the tree stand. Happy hunting! Editor's Note: Although this brochure is not specifically geared to traditional archery, I found it very informative. There are also resources for becoming a certified instructor, finding archery businesses in your area and setting up a community range. NEW ULM, Minnesota – If you’re hoping to grow archery in your community, here’s an important tool that might help: Schools, agencies, communities, organizations and anyone interested in teaching archery can now download an updated Archery Safety Brochure from the Archery Trade Association (ATA). In compiling data for this brochure, the ATA used data from a number of reporting organizations, including the Sports & Fitness Industry Association, U.S. Consumer Product Safety Commission, National Electronic Injury Surveillance System and Sportscover Injury Calculator. The ATA brochure compares archery injury rates to those of football, baseball, soccer and other sports, and concludes that archery is one of the nation’s safest recreational activities. In fact, soccer, baseball and basketball have injury rates 20 to 45 times higher than archery’s injury rate. Per 1,000 participants, archery’s injury rate ranks below golf, fishing and tennis, and slightly above badminton, bowling and table tennis. The main skills your child will pick up from practicing archery are discipline, independence, and maturity. This is due to the dangerous and individual nature of the sport. Your child will also develop their focus, concentration, and hand-eye coordination, especially with depth of vision. The intricate details of the sport also develop your child’s fine motor skills and the constant lifting and pulling will develop arm strength.